This Casablanca cork round coaster set features thermo PU tops and woven fabric bottoms with stitching. Dimensions: 1-1/4" H x 4" diam. Spilled tea or coffee is enough to spoil one’s mood. Save furniture and cut down on your cleaning time with the Casablanca Cork Round Coaster Set. The Thermo PU tops stitched with woven fabric bottoms, and the cork-style finish, give these coasters a natural weathered look. 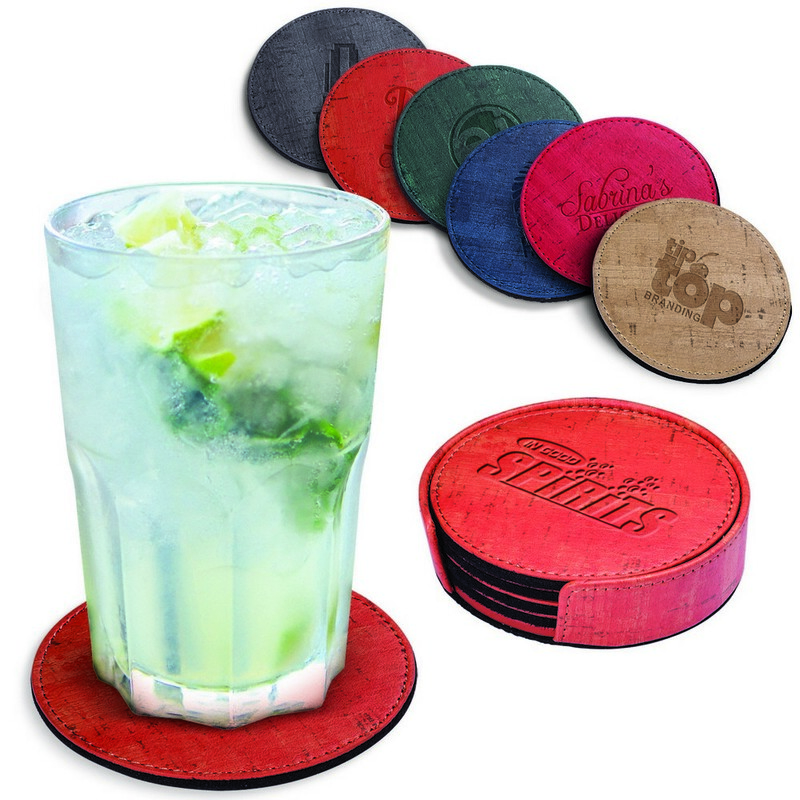 These coasters make the perfect addition to your dining decor and serve as a striking promotional giveaway. Imprint the coaster set with your company logo and marketing message and continue to hold a special place in your client’s hearts.